(Springfield, IL) – March 5, 2010. Governor Pat Quinn’s budget proposal that slashes $20 million from Illinois child welfare agencies serving troubled Illinois teenagers—on top of a $20 million cut last year—will undermine care and after school programs to at least 17,000 children, according to advocates. According to Berglind’s analysis of Quinn’s budget, Early Intervention, Homeless Youth, Healthy Families, Parents Too Soon, Redeploy Illinois, Teen REACH, Teen Parent Services, and UDIS were reduced 10%. Finally, Berglind noted that the state special education budget took a huge hit of almost $67 million in Quinn’s budget. In the this budget, which serves DCFS youth with behavioral and learning problems, the Regular Orphanage Act line is down 25.44%, the Special Ed Orphanage Act line is down 32.13% and the Private Tuition Line is down 13.78%. 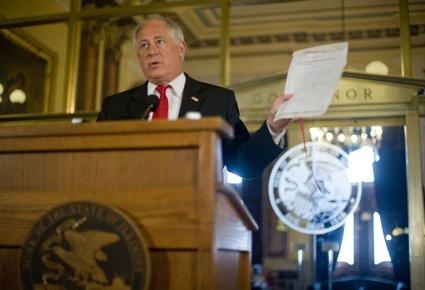 (Springfield, IL) — The Illinois General Assembly last night approved and the Governor Pat Quinn signed the Fiscal Year 2010 Illinois budget. The good news is that there is now a regular FY’10 budget, so that contracts and cash can begin to flow. The bad news is that the budget still contains serious cuts. funds generated from pension borrowing to offset the Illinois “doomsday” budget losses in human service funding. However, human services are funded only at an average of 86% of FY ’09 levels. State agencies will be mandated to set aside $1.1 billion total in reserves, not spending appropriated dollars until review later in the year, so this will pose an additional strain for programs that are already reduced. Finally, there is an expectation inherent in this budget that some FY ’10 payments to providers will be delayed into FY ’11 as a way of saving funds in FY ’10. This “borrowing” from providers is estimated at $1.5 billion. . There is estimated to be $1.1 billion in cuts. The overall funding for the state is approximately 92% of FY ’09 levels. Social services are funded at an average of 86% of FY ’09 amounts. This is an AVERAGE only. State agencies received lump sum appropriations and not detailed line item appropriations. State agencies will make determinations of how to spend and allocate the reduced amounts within the lump sum allocations. The General Assembly did not appropriate division, program or line items for the state agencies. The Governor and state agencies will need to make decisions on how the 86% funding levels will be distributed to meet human needs. Legislators who presented and commented on the proposed budgets confirmed that the budget represents all the money Illinois has. Cuts will be deep. However, they acknowledged that Illinois was out of time and options in terms of passing some type of budget. They characterized this as a budget that avoids a complete meltdown but avoids a tax increase. Child Care Association of Illinois staff reviewed the lump sum appropriations for each state agency. At this time, there is really no way to determine if the lump sums represent the expected 86% funding level, or if the Illinois Department of Children and Family Services appropriation represents the mandates of the federal BH consent decree. We will need to obtain more detail from the state agencies, once the dust settles. 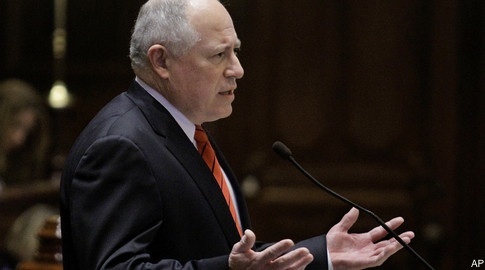 Governor Quinn and thus, the state agencies, will have wide latitude in determining how to spend the reduced funding levels. Although the 86% funding level for human service grants is an AVERAGE, there is NO GUARANTEE THAT ALL PROGRAMS WOULD BE FUNDED AT 86%. The state agencies will need to make determinations about priority programs, funding levels and potential rate or utilization reductions. Language in the budget bill allows the agencies to do this. For example, in the Illinois Department of Humans Services, appropriations are usually made in very specific amounts by division. This year, however, there is no differentiation of the total funds given to DHS for use in youth services or mental health or developmental disabilities or substance abuse. The Governor has asked the state agencies for their spending plans. There is much work to be done ahead with the state agencies. The DCFS budget is not necessarily exempt from all aspects of the budget restrictions, although the requirements of the BH court order of July 1 mandate certain services. We have asked DCFS finance staff to let us know whether their analysis of the amounts appropriated to DCFS reflect the budget needs necessary so that DCFS can fund services at FY ’09 levels as planned. The budget bill also contains language that will allow emergency rule making. This will allow the state agencies to implement the program and finance challenges expeditiously in rules. The JCAR process of legislative review will still be used. Finally, there does not appear to be any agreement at this time about revisiting a tax increase. Some legislators predict such discussions will emerge in the fall veto session. Others look to January before there is any serious consideration of a tax increase. There is no guarantee that the budget we have today will in any way be enhanced by other revenue within this fiscal year. The great disappointment of this budget means challenges for CCAI members throughout this fiscal year and as we plan for FY ’11. Advocacy efforts must continue to remind the public and the general assembly that an 86% human service level is not acceptable. Policy advocacy and scrutiny of the state agency decisions will become a big part of this year’s activities. We need to prepare for the inevitable funding challenges of FY ’11 when some of the federal stimulus money protecting ISBE this year, goes away. (Springfield, IL) – An initial survey of Illinois child welfare agencies reveals that local providers have already absorbed more than $50 million in direct program cuts from the Illinois Department of Human Services, affecting more than 17,000 children. 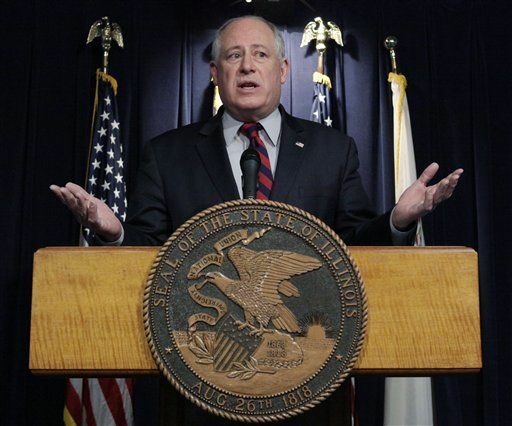 “Governor Pat Quinn’s contract cuts have already hit all parts of the state from Chicago to Putnam County, slashing care to more than 17,000 children,” said Marge Berglind, President of the Child Care Association of Illinois. “We urge the General Assembly to quickly develop a budget for FY’10 that immediately stops the massive cuts and contains sufficient money to restore desperately needed services for children and youth,” Berglind added. (Springfield, IL) – The Illinois Senate yesterday voted 56-0 to create a new approach to help Illinois abused and neglected children living in residential and group homes get more sophisticated care and avoid hospitalization. The measure, Senate Bill 1372 Sponsored by State Senator Dan Kotowski (D-33) would develop a performance-based program and payment model for the state residential foster care services to be implemented by the Illinois Department of Children and Family Services. “Performance contracts for DCFS residential and group homes provide new opportunities to develop innovative programming to provide enhanced clinical treatment and to ease transitions to school, home, and work for kids,” said Marge Berglind, President of the Child Care Association of Illinois. The bill, co-sponsored by Senator Jacqueline Collins (D-Chicago), would require DCFS to set new performance-based requirements, financial rates, and outcomes for residential treatment providers. “Long-term savings from lowered hospitalization costs can be reinvested in new services that help close treatment gaps and help sustain the benefits for kid from treatment over time,” said Berglind. “We are very grateful to Senator Kotowski and Senator Collins for their aggressive and successful efforts to win Senate approval of the bill,” said Berglind. The bill now moves to the House. The chief sponsor is State Rep. Paul Froehlich (D-Schaumburg). “If the bill passes the House, we are hopefull Governor Pat Quinn will approve it,” Berglind added.